Community Harvest Gardens seek to give participants an opportunity to take an active role in sustainable local agriculture. 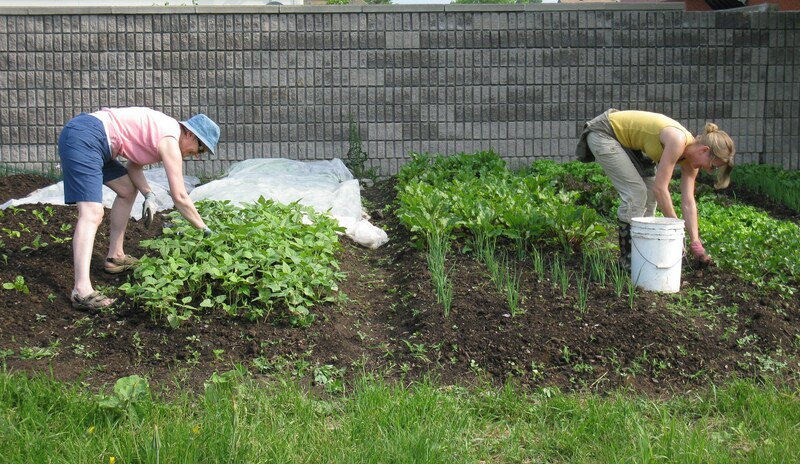 Our gardens produce an abundance of vegetables while providing an opportunity for community members to engage in thoughtful and meaningful work that builds community and changes lives. Our locally grown vegetables are distributed free to all participants, are donated to food security organizations, and are sold at the Community Harvest Market and through the Kingston Good Food Box. Wally Elmer Neighbourhood Recreational Centre Garden – developed in 2009 with Kingston Community Health Centres, Home Depot Kingston, and Cataraqui-Kingston Rotary Club, this 700 square foot garden serves as a teaching garden for the From Earth to Table workshop series and also as a children’s garden for the Community Harvest Market children’s program. 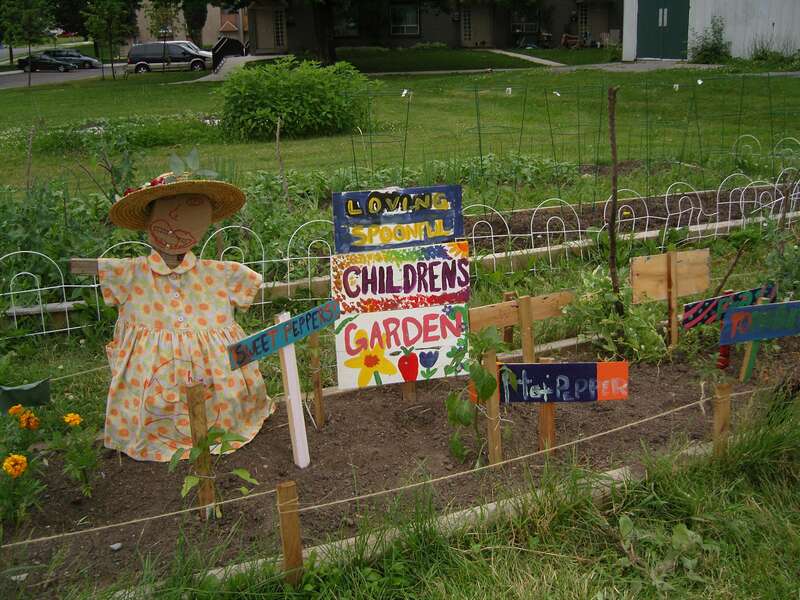 It is planted and maintained by participants in From Earth to Table and by children who live in the Wally Elmer neighbourhood. 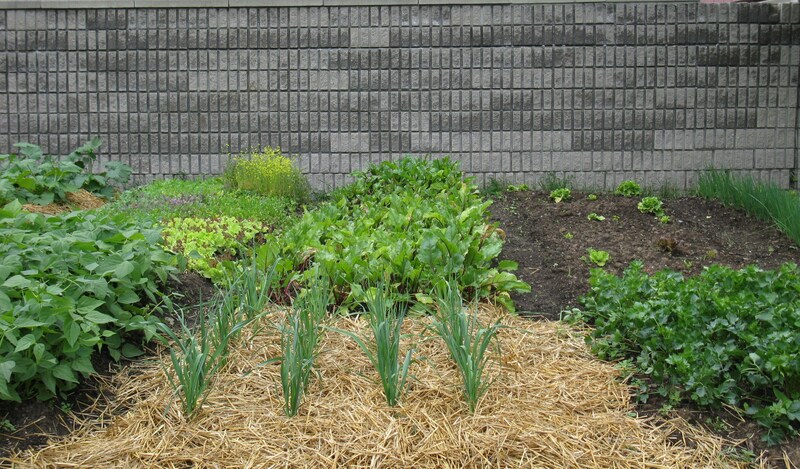 It strives to demonstrate what can be grown and harvested in a typical backyard garden. 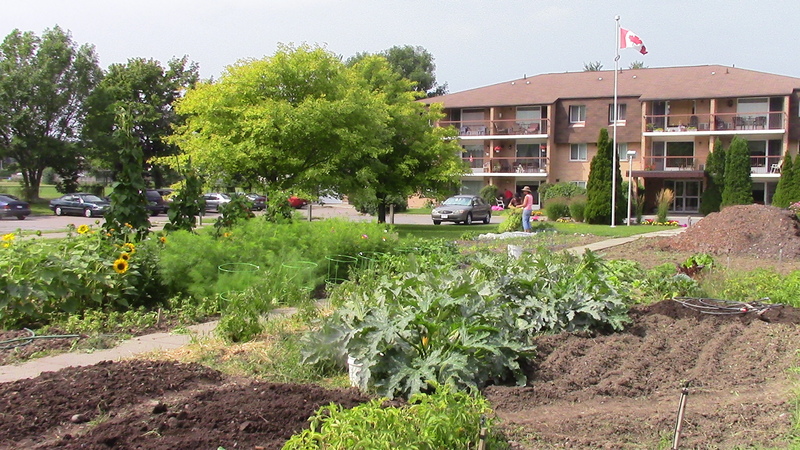 Lyons Street Garden – this 2000 square foot garden was developed in 2011 with the help of Kingston Community Health Centres and Frontenac Community Mental Health Services. 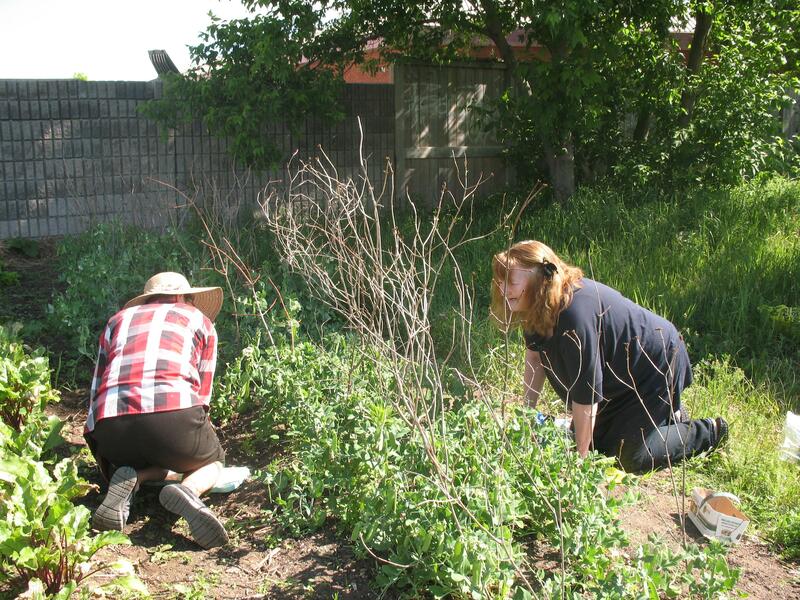 QECVI students helped to clear the land of garbage and get it ready for planting. They also built two beautiful compost bins. Frontenac Secondary School students built and erected a storage shed. Kingston Home Depot, the National Farmer’s Union, and the Kingston Horticultural Society generously contributed materials and gardening equipment and many community donors helped to make the project a huge success. 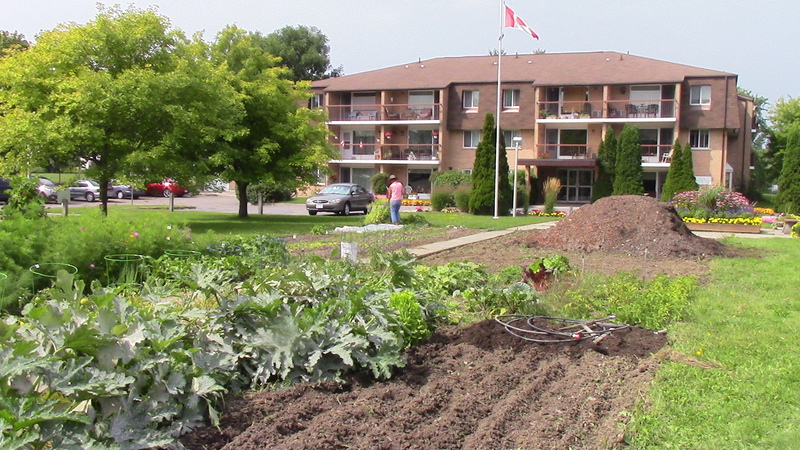 This garden produced an abundance of vegetables that were sold through Good Food Box Kingston and the Community Harvest Market, donated to Loving Spoonful, and distributed free to all who participated in the garden. Highlights for 2012 include expanding the garden to 3000 sq feet (from 2000 sq feet) as well as planting perrenials such as asparagus and grape vine. 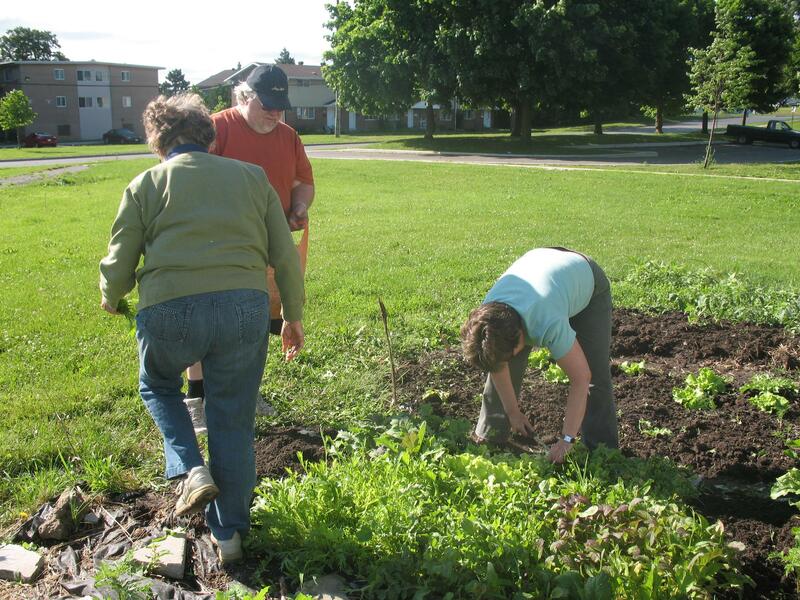 We hope to achieve much greater involvement from FCMHS clients while continuing to teach gardening skills and contribute to the Community Harvest Market and Good Food Box Kingston. The Dutch Garden was started last year . 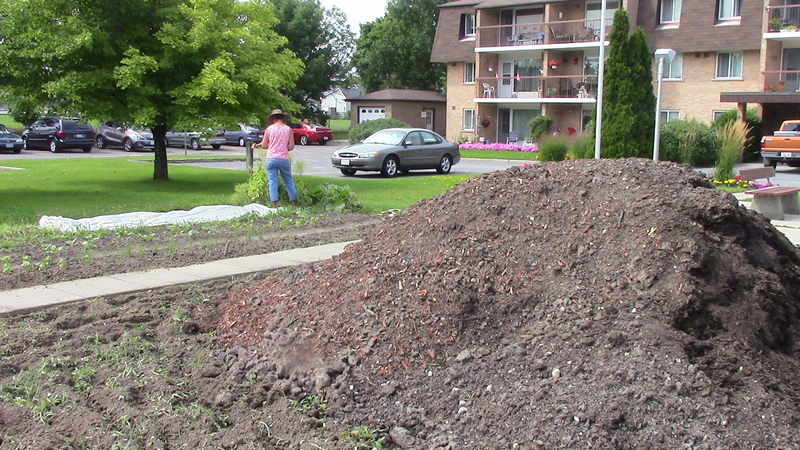 We have been given space in a large existing garden at the Dutch Retirement Villa, 480 Elliot Avenue. 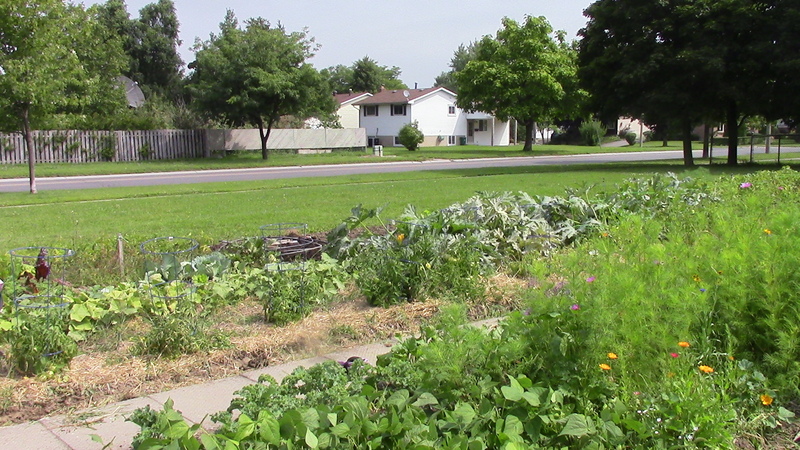 This garden is maintained by a group of volunteers who want to contribute to their community while learning new skills. 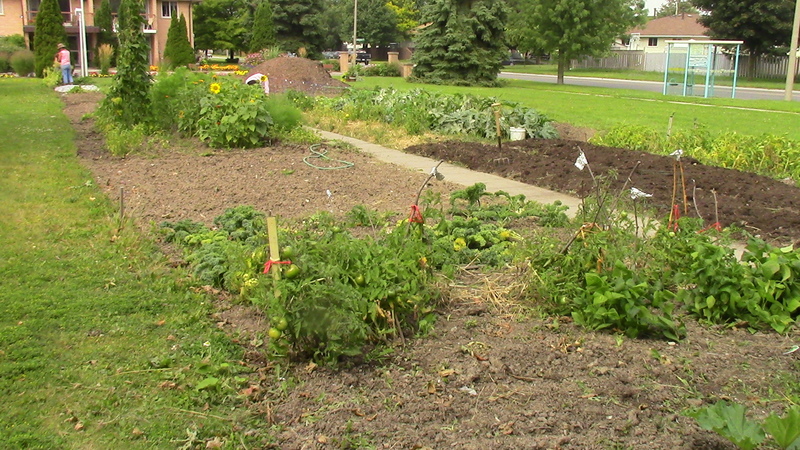 Produce from this garden has been donated to the Salvation Army on Patrick Street for both the Food Pantry and the Gathering Place Meal Program. We would like to give special thanks to Mark Hazelton for delivering two very generous loads of composted manure. We work in the garden every Wednesday morning between 9 and 12 o’clock. Community Harvest Gardens seek to contribute to a sustainable local food system, to provide learning and leadership opportunities, and to empower others to create positive change in their communities.